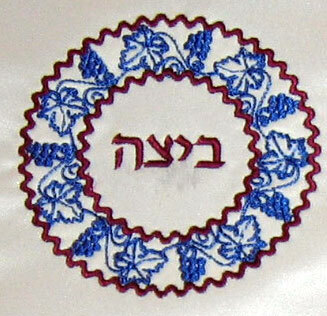 Passover cover for 3 Matzot . 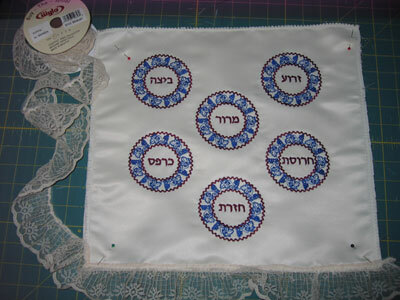 Photos and instructions have been emailed to us by Rachel from Florida. Rachel, thank you for the great project! 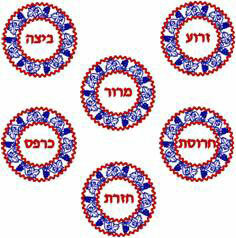 Print out the designs, cut out each one. Marking the center top, bottom, right & left edge points of each item as a guideline (my machine & software allow me to fit the whole design together in one hoop). 1. 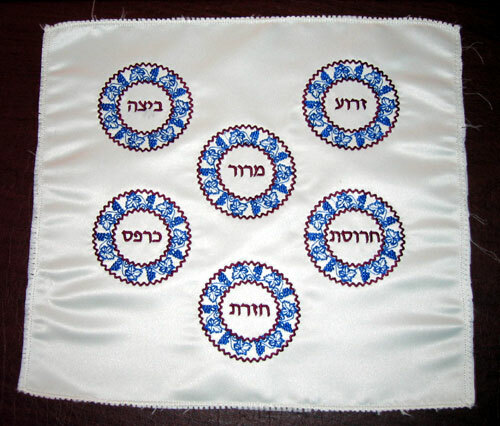 Instead of using a regular Seder Plate, place 6 small glass dishes one on each stitched out symbol to hold the actual item for the Seder. 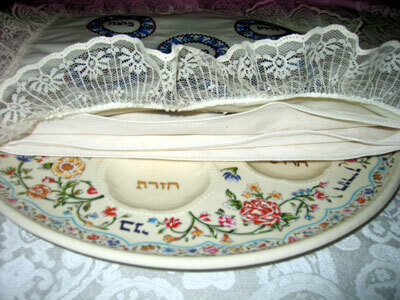 The three Matzot will fit in the pockets under the glass dishes. 2. 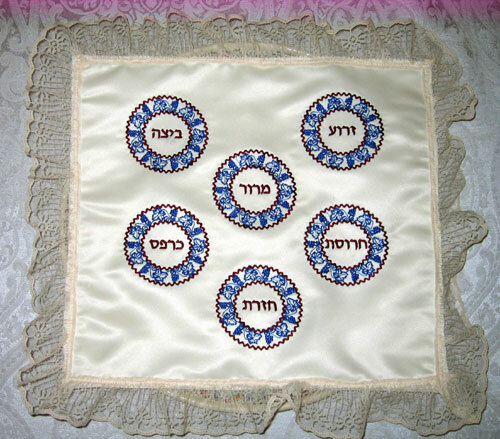 Make a Matzah cover using only one piece of 13”x13” fabric for the back. 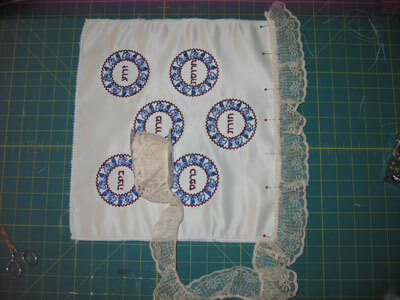 Use directions to stitch out the design, Iron with a damp cloth. 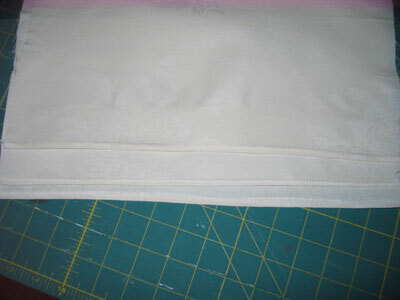 Pin the front, back & lace together and sew with a zig zag stitch.